November 2018 - we will be "almost" everywhere. We are gaining strength before November concert tour. We hope that we will meet with you at one of the concerts. 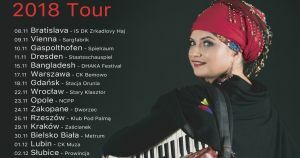 We will tour all Poland along and breadth, but we will also visit Slovakia, Austria, Germany, even Bangladesh!